Vaido (Võrumaa, Estonia) on 20 March 2015 in People & Portrait. Great shot at the right moment! Very fun and playful photograph....like it. Great photo - love the detailed silhouette. E X C E L L E N T !!! very good and very creative! Wow - gorgeous light, even more gorgeous girl and such a breathtaking picture overall. Brilliant stuff, congrats! Splendide ! félicitations pour ce spotlight bien mérité ! Fantastic composition ! Congrats on the spot desserved! Congratulations on the Spotlight. 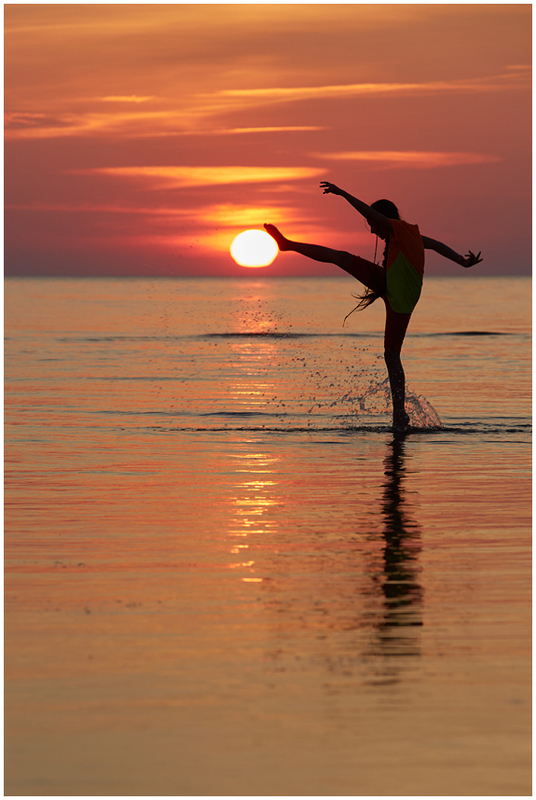 What a fun shot with her foot on the setting sun!!! Absolutely beautiful! Congratulations on the Spotlight! excellent addition to your impressive collection of spotlights! congratulations once again !!! A very beautiful picture. Bravo.